There are many simple things which improve the speed of your website. One of those things is gzip which make a website load faster. But gzip is not enabled by default on web host server. You have to do this yourself either from the control panel of web-hosting account or using a .htaccess file. It is very important to enable gzip because this one thing can improve the speed of your website as much as no other thing can do. So I thought I should share this information that how we can enable gzip? When a user visits your website the web browser makes requests to deliver files which are linked on that page. The reason gzip works so well in a web environment is that CSS and HTML files use a lot of repeated text and have loads of whitespace. Since gzip compresses common strings, this can reduce the size of pages and style sheets by up to 70%! Gzip has to be enabled on your web server which is relatively straightforward. When a browser visits a web server it checks to see if the server has gzip enabled and requests the webpage. If it’s enabled it receives the gzip file which is significantly smaller and if it isn’t, it still receives the page, only the uncompressed version which is much larger. There are different methods of setting up gzip compression depending on whether or not you’ve got an IIS or Apache server (or something else entirely). Let’s first quickly see how a mobile-friendly website is different. If you open a mobile-friendly website on your smartphone, you don’t need to zoom or pinch in order to read the text. On the other hand, if you open a website on your smartphone which is not mobile-friendly, you need to zoom, pinch or scroll horizontally to read the content. You feel a disappointing experience while viewing a website which is not mobile-friendly. Generally, people don’t prefer to stay long on a website which is not mobile-friendly. In the USA, 94% of people with smartphones search for local information on their phones. 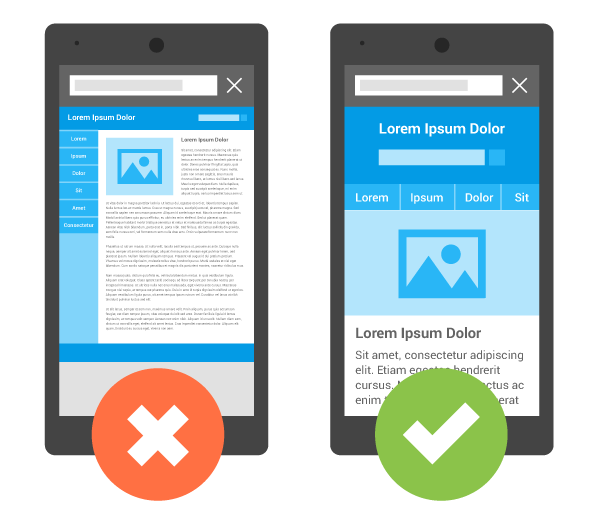 They are more likely to abandon a website if it’s not mobile-friendly. It is worth mentioning that as of April 21, 2015, Google is officially considering mobile-friendliness as a ranking factor in their search engine ranking algorithm. It means websites which are mobile-friendly tends to rank higher in google’s search results. 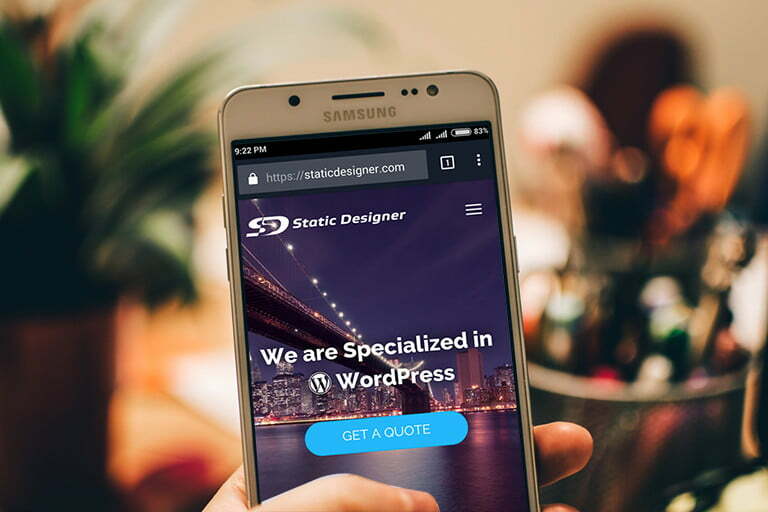 So it makes sense that you should make your website mobile-friendly if you want mobile visitors to stay on your website and get your website rank higher in google’s search results. 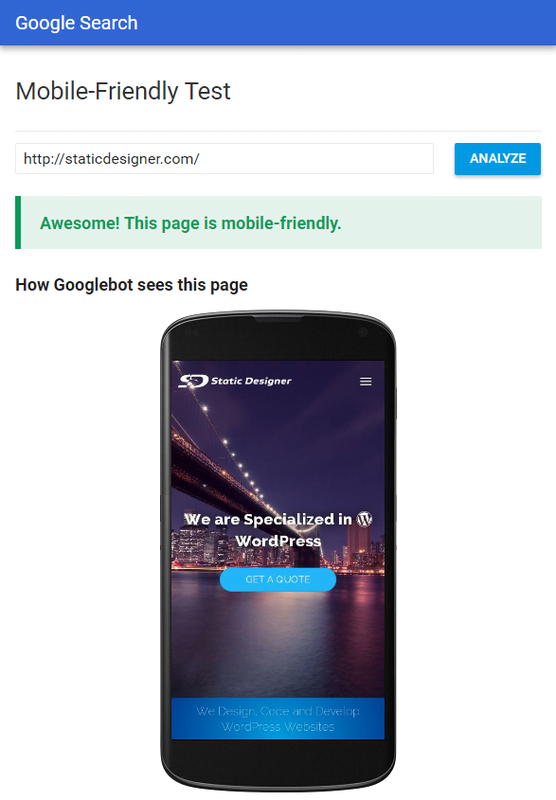 You can use Google’s mobile-friendly Website Testing Tool to test mobile friendliness of your website. You need to enter URL of your website and click analyze button. This tool analyzes your website and clearly report the mobile friendliness of your website. Responsive Web Design: It is the magic of CSS media query that the same HTML code is rendered differently on different screen size. The web server serves the same HTML code on the same URL regardless of the users’ device (desktop, tablet, mobile), but it’s CSS code decide how it’s going to be rendered. If your website is a Content Management System (CMS), such as WordPress, Joomla or Drupal, you can either replace its theme or template with a responsive theme or template or hire a developer to convert existing theme to responsive. Separate URLs: Serves different code to each device, and on separate URLs. The server detects the users’ device. If the device is detected as a mobile device, it is directed to the mobile site. You have to maintain two versions – mobile version and desktop version, of your website. If your website looks complex on a desktop and you think it should have a more simple look on mobile devices, this technique is better for your website than responsive design. How much does it cost to build a mobile-friendly website? It can be free if you select a responsive theme or template for your website. Almost all the themes and templates are created responsive nowadays. It can be free if you have technical skills to make a website. It will cost you if you hire a developer and again the cost depends on your website and developer. For some very old sites, it is better to redesign it from scratch rather than converting it mobile friendly. For other sites, the developer can simply convert to mobile friendly.